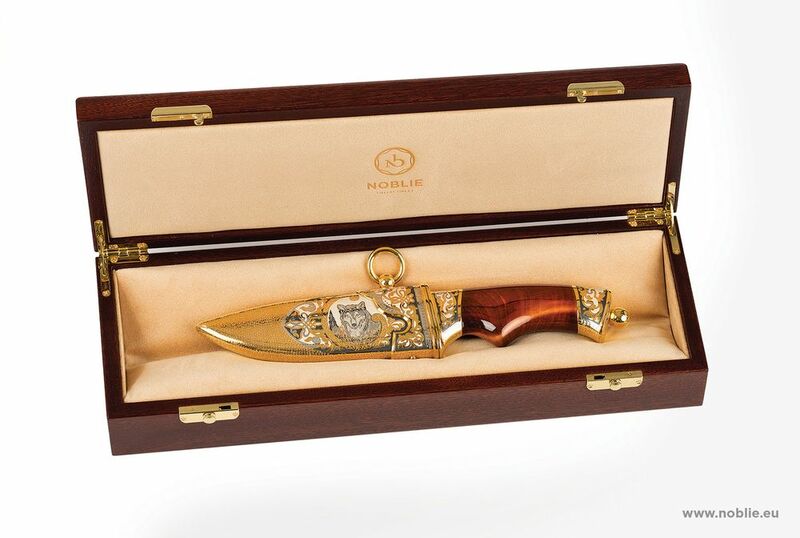 The luxury goods with the brand Noblie are selected by their grace and beauty. They bear their own noble aesthetics and for their creation are needed artistry and magnificent craftsmen skills, shared from one generation to another. To keep the tradition of making of these precious pieces of art, we would like to expose our collectibles in their full splendor. You are invited to view our collections and to share the excitement of the unique art works, represented in our gallery. Decorated by: etching, engraving, gilding, silvering, nickeling, blackening. 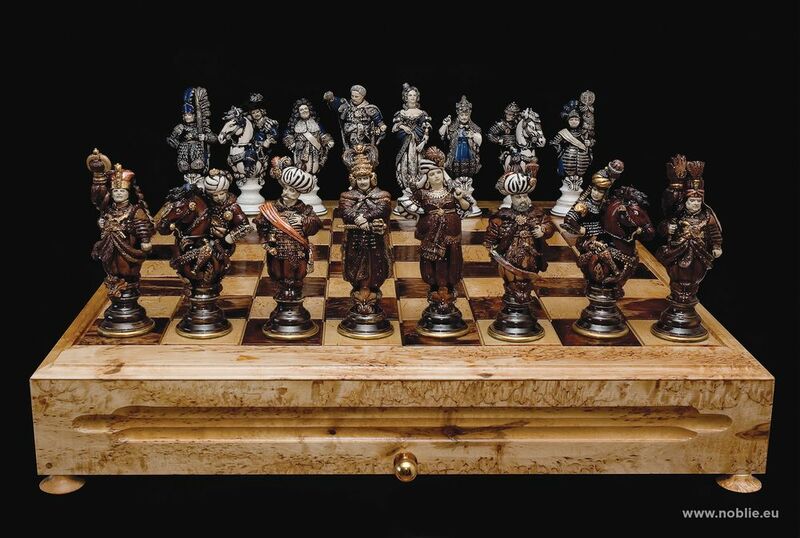 Decorated by: etching, metal works, engraving, gilding, silvering, nickeling, waxed wood. Walnut wood handle, jaguar head pommel. 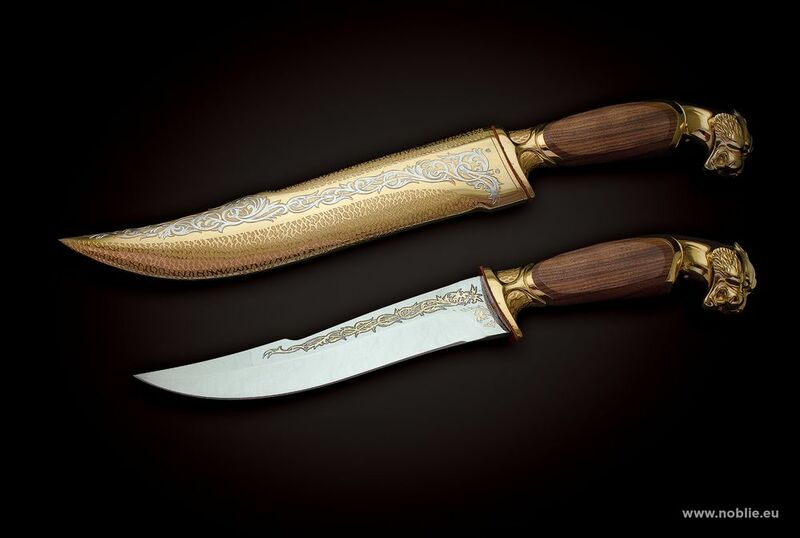 Decorated by: etching, metal works, engraving, gilding, silvering, nickeling, waxed wood. Manufacturing process: 57 days. Made by using of techniques of patterned steel forging. PM pistol implemented on the blade. 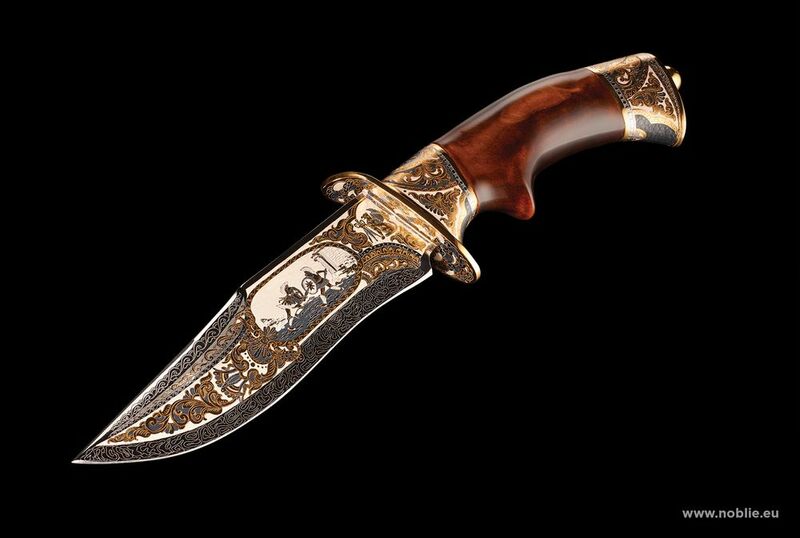 Atmosphere resistant Damascus steel blade. 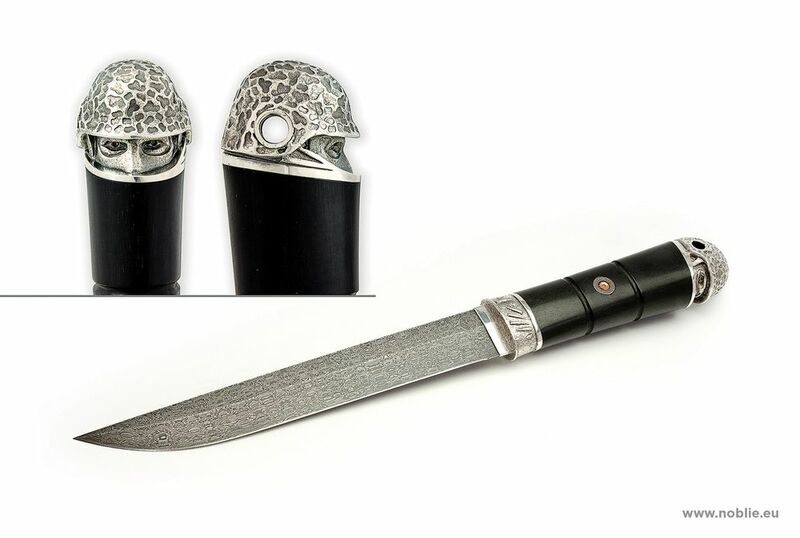 Fine carved bone handle and scabbard. 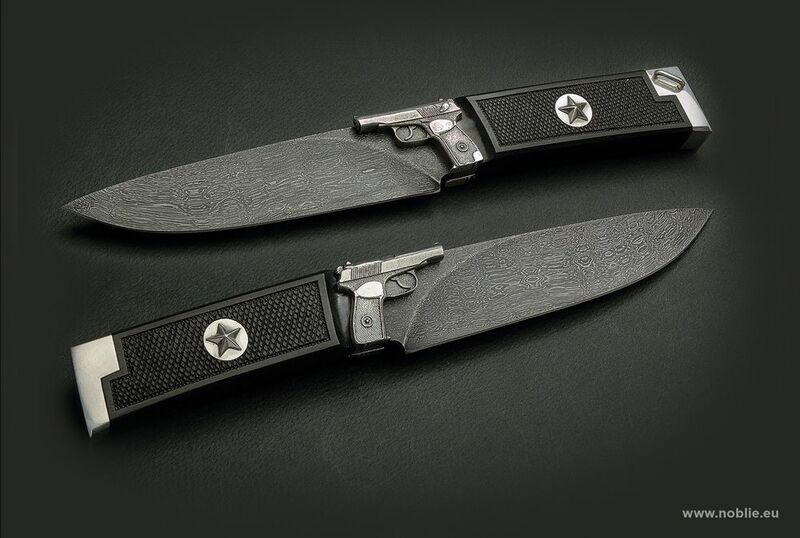 Stainless steel blade with two engraved zebras. 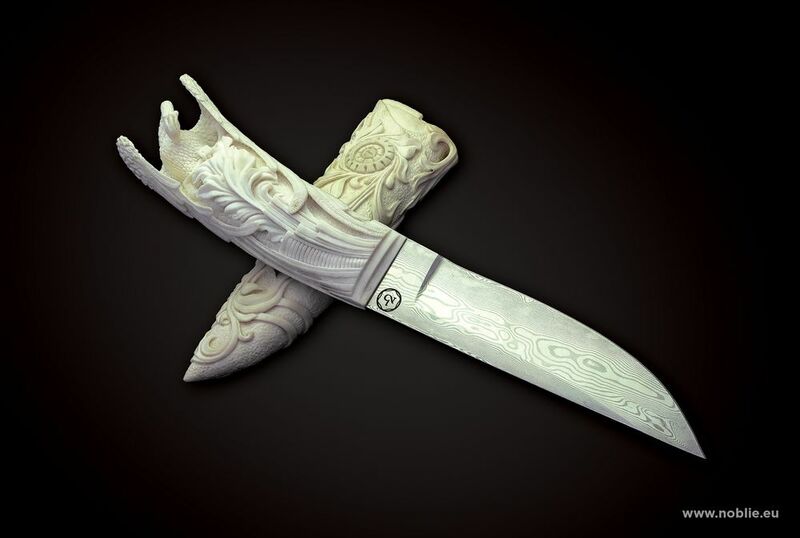 Mammoth tusk handle with scrimshaw. Composition placed on wooden pedestal. 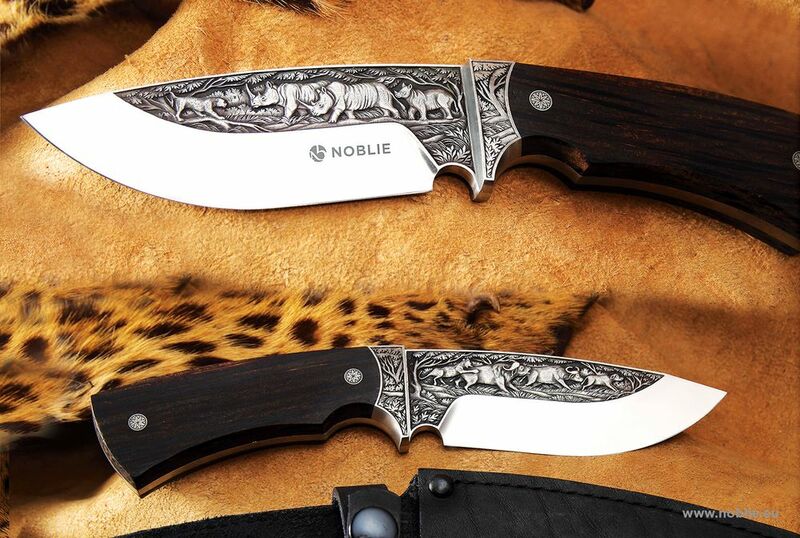 Stainless steel blade with engraved figures of African animals. Polished wood handle with titanium elements. 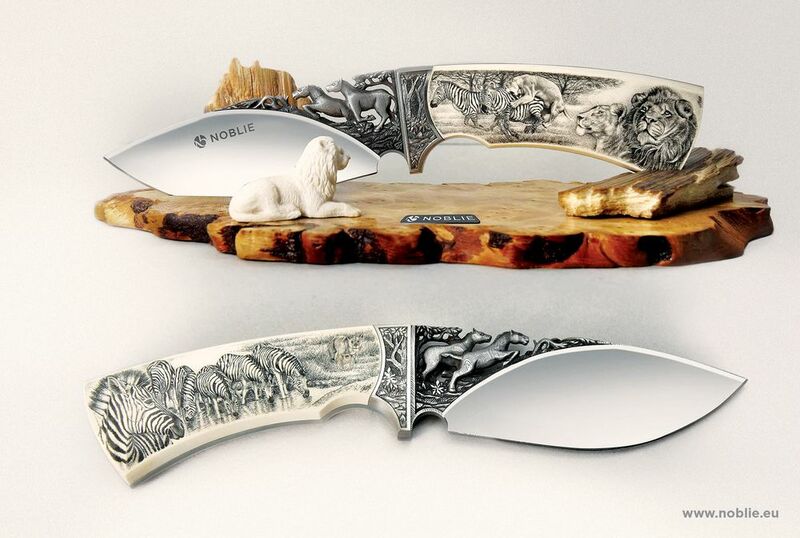 The main theme of elephants is depicted all over the composition as engraved figures on the stainless blade, carved on the mammoth tusk handle and the figure in front. 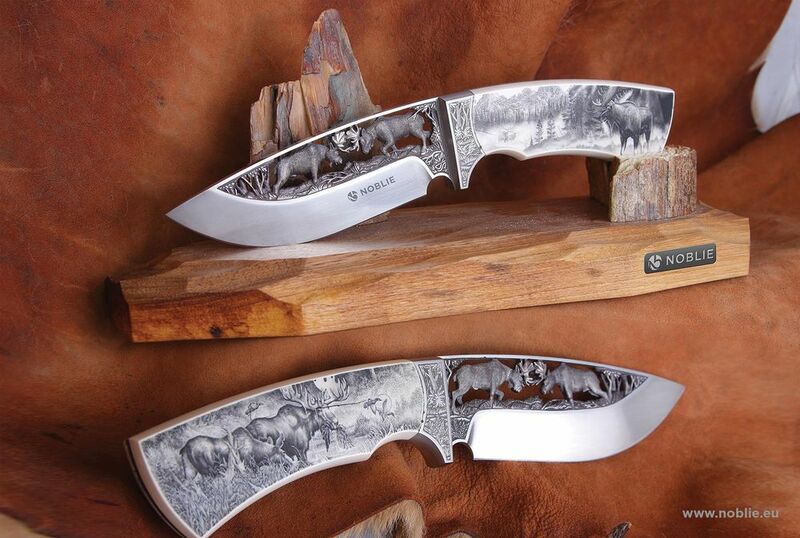 Stainless steel blade with engraved figures of two fighting male elks. 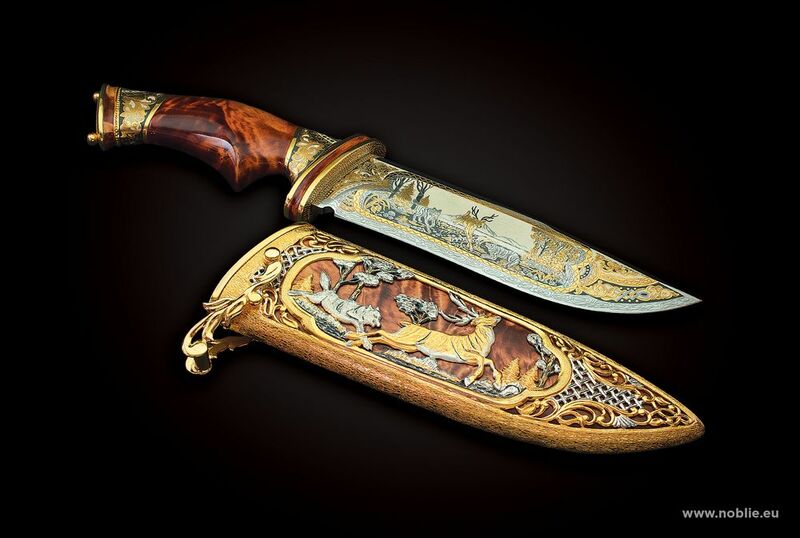 Scrimshaw decorated mammoth tusk handle. 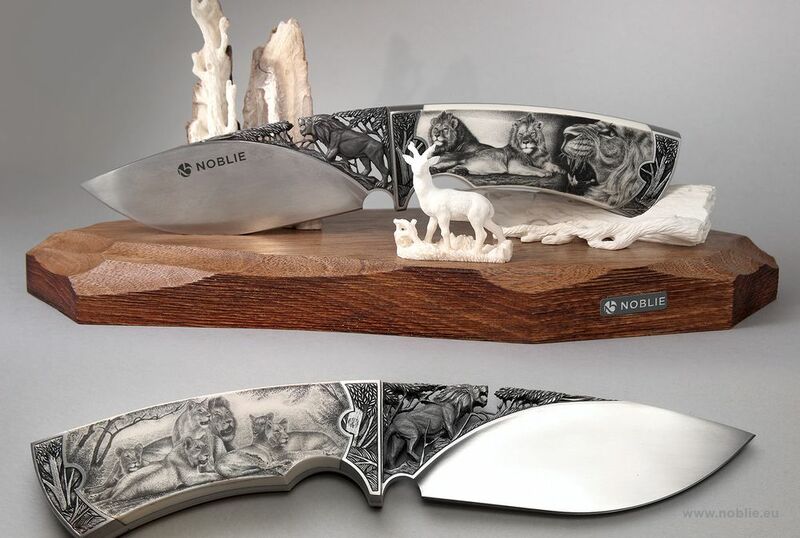 Stainless steel blade with engraved figure of lion. 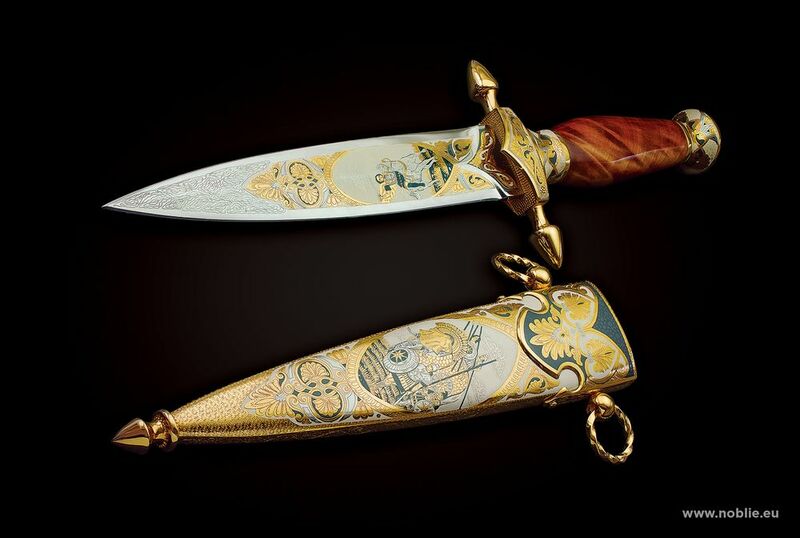 Scrimshaw on mammoth tusk handle. 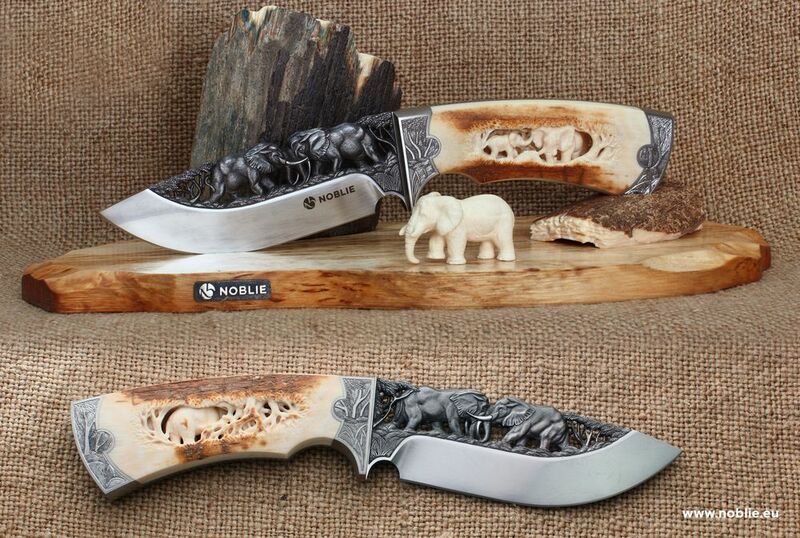 Forceful knife with patterned forged steel blade, large guard, blackwood handle with metal casted head of rhinoceros. 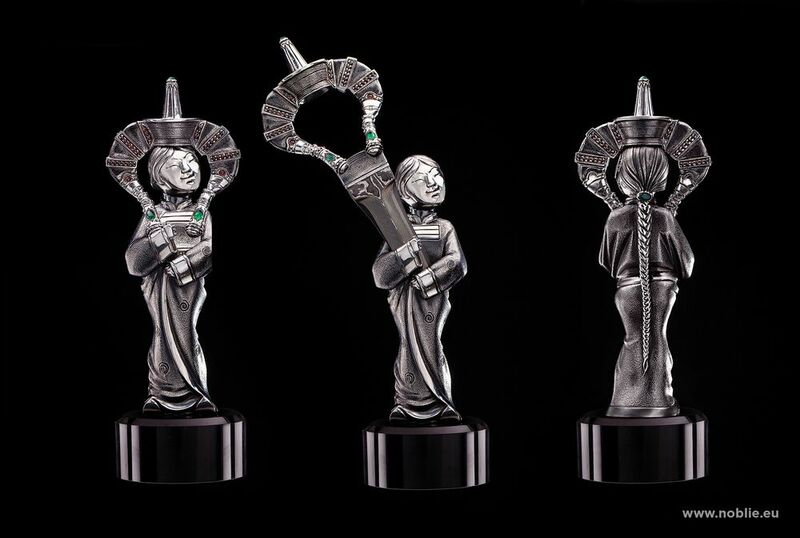 Bronze casted and silver covered figure of young woman with embedded blade and gems decoration. Bronze casted and silver covered composition of horseman warrior with embedded horse shaped knife. 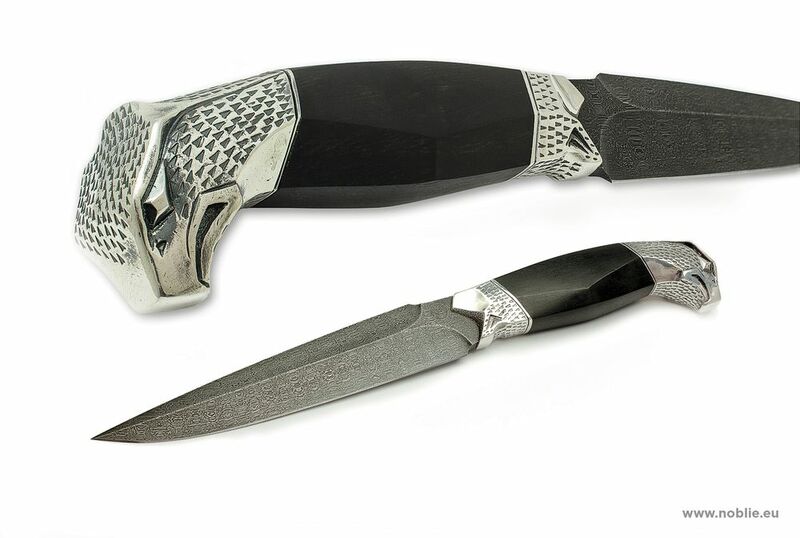 Casted patterned metal with inlaid gems and fretwork handle. If you have ever visited a weapon exhibition, you may find much in common with it while looking through our web-site. Every exhibited object has its own history, character and soul. The only difference is that every piece of this collection may become yours. 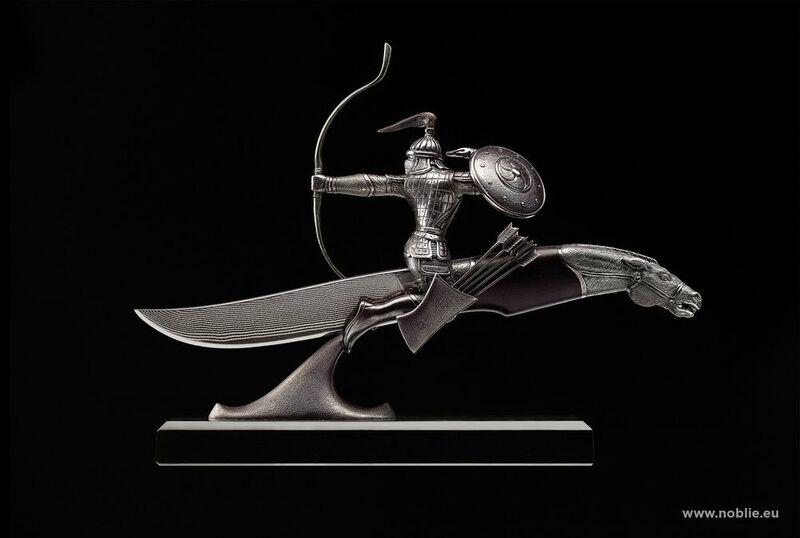 How is it – to become the owner of something special and please your eyes with high weapon art any time? That’s why when it comes to aesthetic aspect of man life, the first things that come to everyone’s mind are cars and weapon, no doubts. 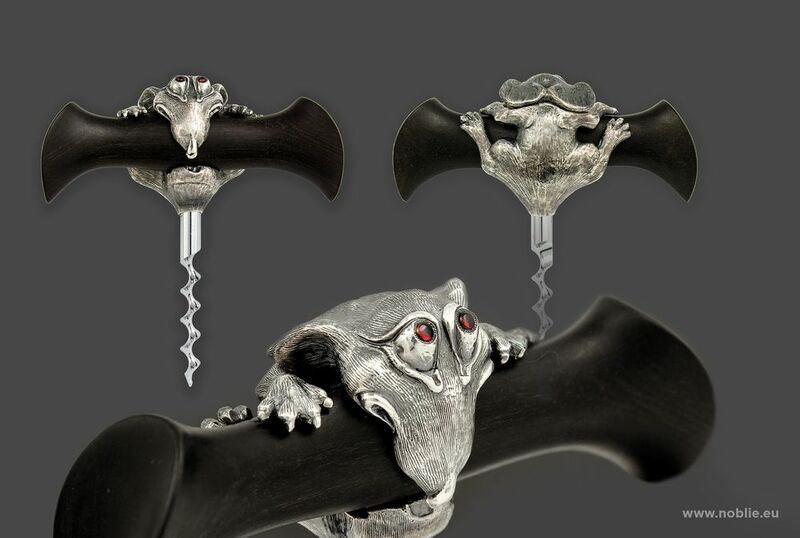 and, finally, a wide range of universal items starting from corkscrew, ashtray and up to cane or the special edition of Noblie Collectibles album. The price of every item is entirely reasoned by the high-quality metals, precious gemstones, rare wood species and, of course, several hundreds of hours, which are necessary to implement such a delicate work and animate all these raw materials creating the real peace of art. 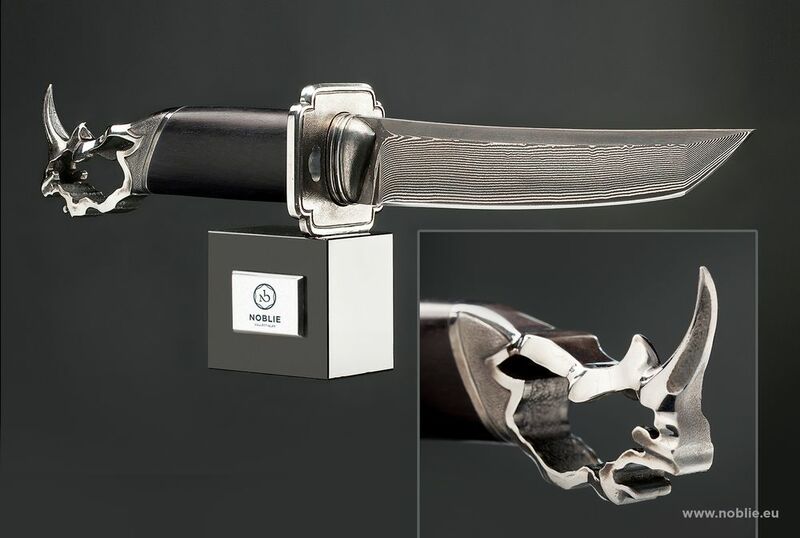 The entire knife from its handle and up to the point is a 100% unique and luxurious gift. 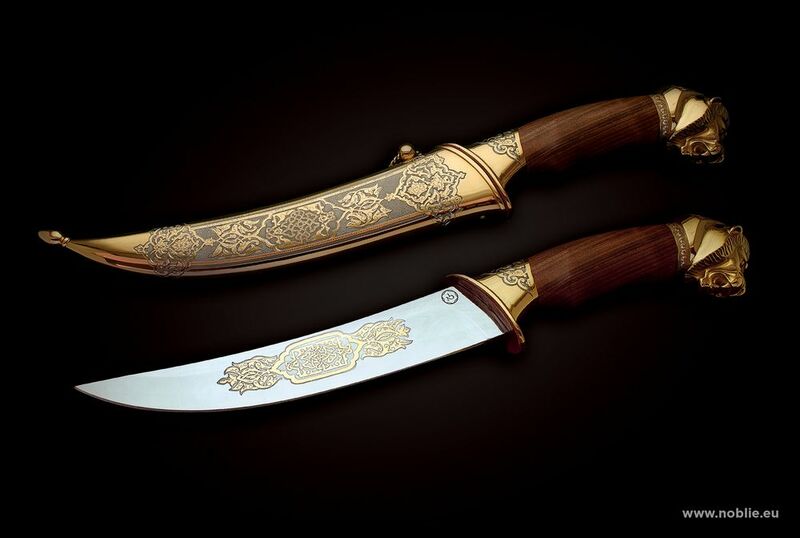 The photos of our goods are not able to depict their actual beauty, style and nobility, but even they are sufficient to impress the most weathered collectors and knife lovers. We also would like to remind you that any item that you are intended to purchase from our web-site may be additionally engraved, which means that we can give extra individuality to your accessory or to acknowledge the future owner of this precious gift.